Can you imagine someone spending 12 hours straight arranging thousands of colored dots to create portraits? That’s what young British Nikki Douthwaite does. Known as master of dot art, Nikki uses thousands of tiny papers to create amazing dot artworks. Inspired by the pointillism work of 19th century French painter Georges-Pierre Seura, Douthwaite created her own technique by replacing the paint dots by tiny bits of paper. 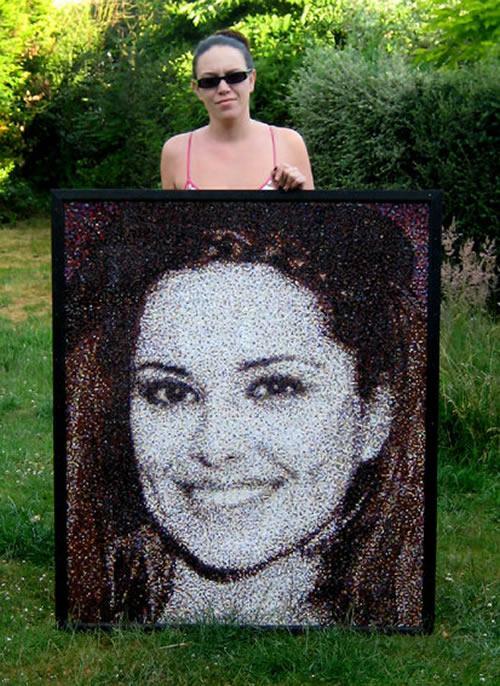 38-year-old Nikki is holder of a Guinness World Record for the largest number of dots ever used in a picture. 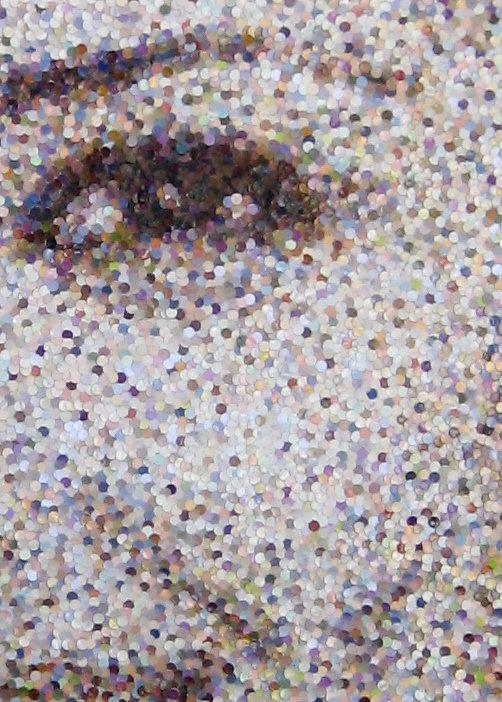 She sticks every piece on a canvas with sticky tape and a pair of tweezers, delivering a fascinating experience for the viewers who see black and white portraits from far but as they approach discover the thousands of colored dots. Some of Nikki’s most famous portraits include the British Formula One champion Lewis Hamilton, for which she spent 12 weeks painstakingly placing 250,000 paper dots on canvas.